Show off your photographs with our Landscape Desk Calendar. 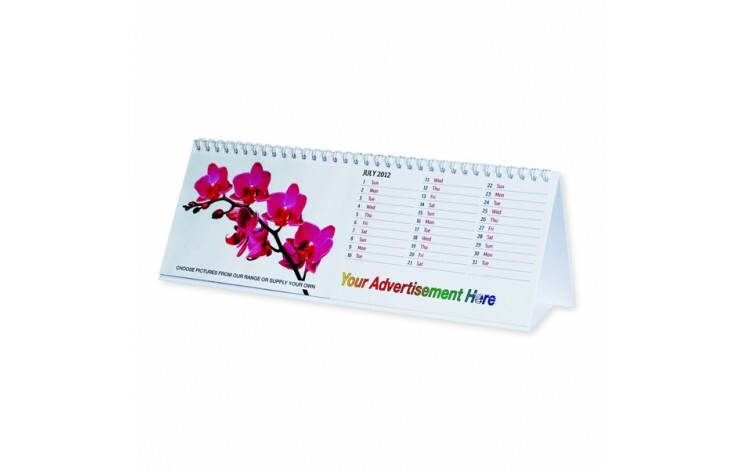 This 12 page desk calendar features lovely quality 130gsm silk gloss paper for a high quality finish. 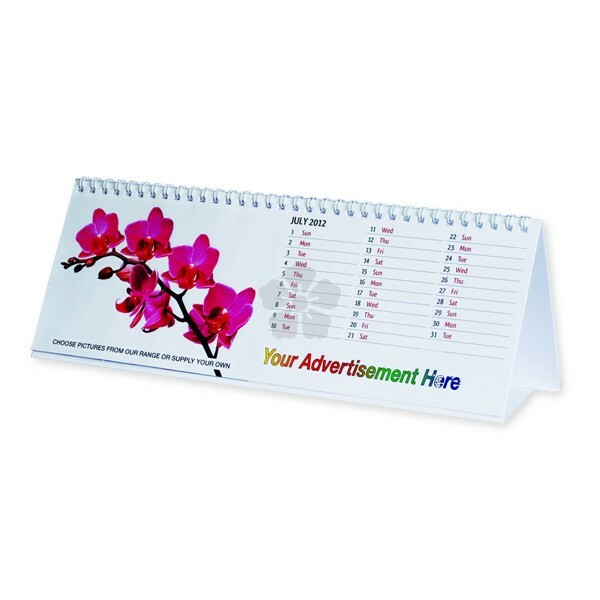 With a full colour print as standard, this item has great branding potential. If you're stuck for ideas, stocked images are also available on request.